Elektron, a company based out of Sweden, has become pretty well known over the past few years for creating some real quality synthesizers. Today they launched the latest edition to their lineup – the Elektron Analog Keys. The Elektron Analog Keys promises to be a great instrument, with incredible playability. According to the Elektron website, it is “the instrument for the expressive musician”. What does that mean? Good question. The Analog Keys synthesizer has some great features. It offers polyphony with up to 4 voices, allowing you to create great basses, chords and leads. The tone of the device is incredible – warm and full sounding, yet unique and classy. 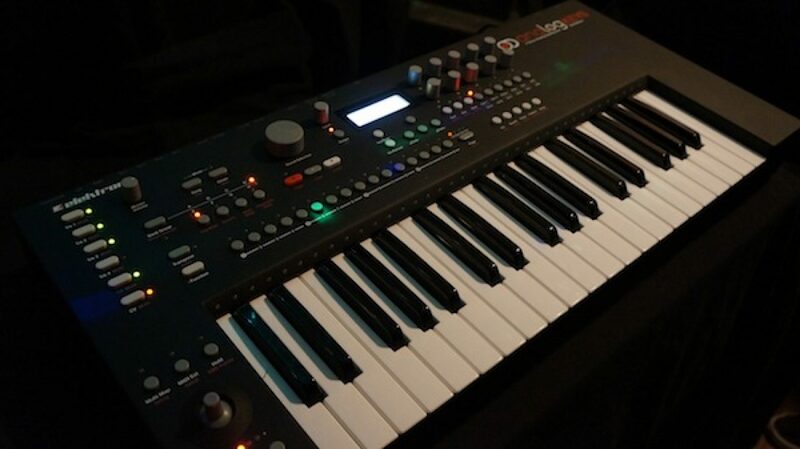 The Elektron Analog Keys is 100% analog and comes with 2 oscillators and 2 sub-oscillators. It also brings 37 semi-weighted keys with aftertouch. The Elektron Analog Keys is a synthesizer for the professional. Incredible functionality and a great sound are expected from a synth that’s running for $1849, and this synth delivers. You can check out a full list of specs at the Elektron website, or you can check out the promotional video below to hear how it sounds!